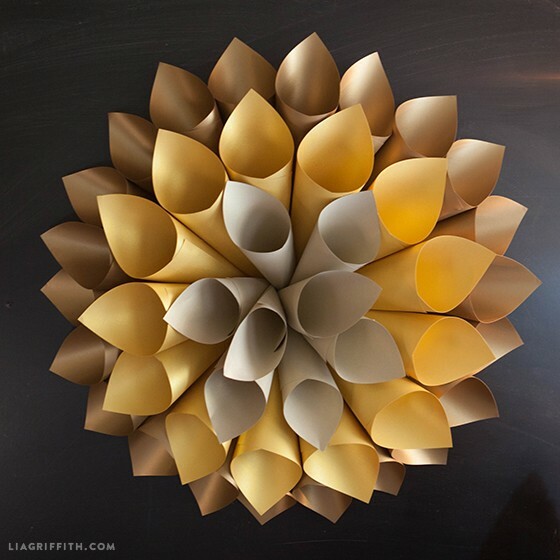 This paper Star Burst has quickly become one of my favorite art objects. I love the impact this pop of color have on my wall and it is one of my easier DIY projects. 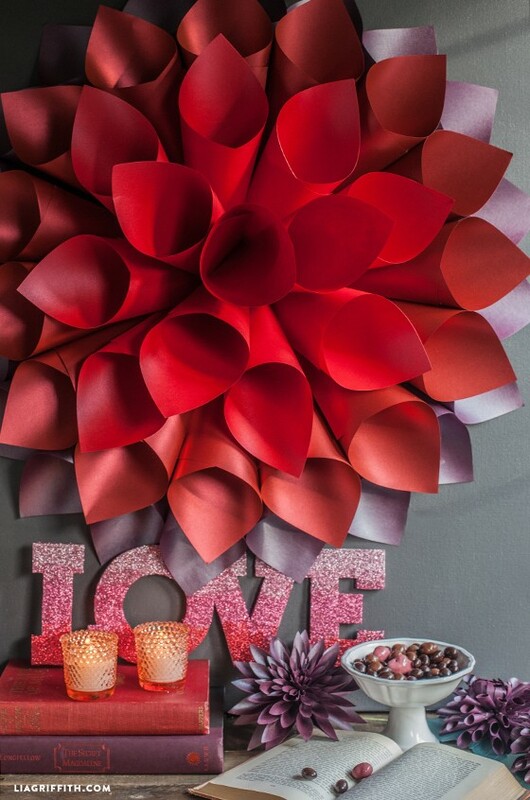 I picked red and purple colors for Valentine’s Day but you can pick any color palette that suits the holiday or room decor. I have included a picture of a gold one I made for the Holidays to give you an idea of the different color variations. 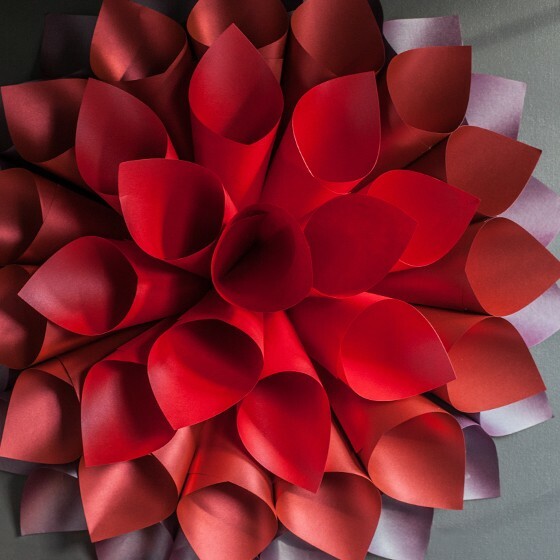 For the Valentine’s one I picked three different colors of metallic papers: Ruby, Red Lacquer and Jupiter. I chose text weight paper since the cones form smoothly without any forced folds. You can find the step-by-step tutorial on my site. Colors Antique Gold, Pure Gold and Gold Leaf.